In the world of unlikely animal relationships we’ve had cats slapping seals, rats chasing cats — basically a lot of cat based drama — and now we get something new. A friendship between a squirrel and a — human!? Wha!? Why I spit my coffee out, I do! 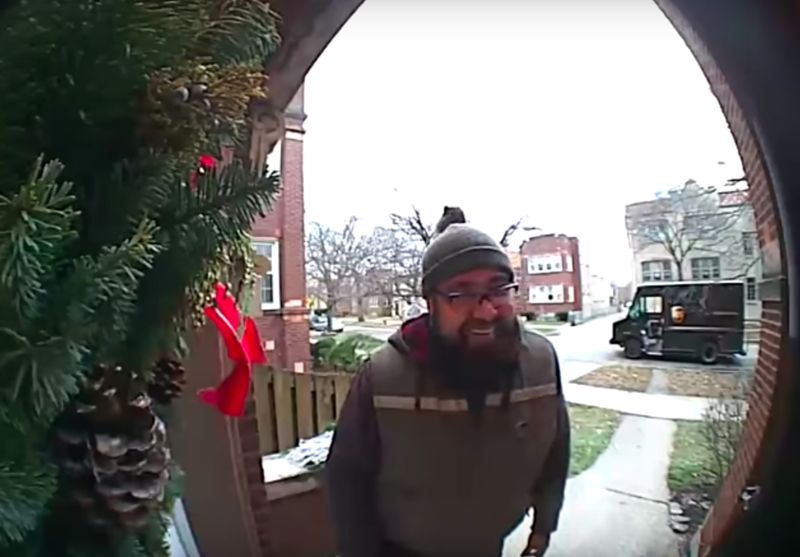 The video in question shows the UPS worker approaching the door, package in hang, rocking out a little bit to the beats on his headphones, when suddenly, the poor postal worker is accosted– attacked no less!– by that cruel and monstrous creature, the mighty squirrel. What will be this man’s reaction? Will he scream to the heavens, will he fall off the stairs!? Oh what, I ask you, what will be the man’s reaction? 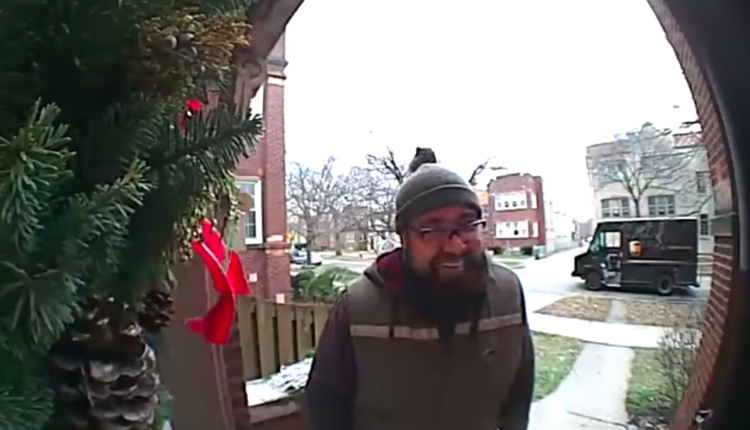 Well, in this case it’s… friendly delight!? That’s right! The guy was a good sport and loved having a squirrel on his head! Oh, to see the rest of the world have such good humor towards this kind of stuff! Delightful! Clearly this guy is someone to learn from. You know what I would do if a squirrel jumped on me? Nothing good, folks. I would call in a SWAT team and they would attack my head. The squirrel would go away but my head would continue being punched. Like I said, nothing good folks. What do you think of the adorable UPS/Squirrel meet up? Let us know in the comments or on Twitter at @WhatsTrending.